Umbrella Insurance sits on top of other underlying insurance coverage (Hence Umbrella) to provide your business increased coverage to protect the financial interests of your company. Umbrella Insurance may also be purchased to enhance personal insurance coverage such as car, home, watercraft, motorcycles, etc. Unfortunately the society in which we live is litigious and your underlying Business Liability Insurance may not provide sufficient protection for your organization. Example 1: The public is invited to attend a pep rally held at your Private School and a fight breaks out leading to a shooting whereas 3 individuals are shot and 1 person killed. A number of lawsuits are filed against the school’s alleging poor security that led to the shooting. The General Liability Insurance for the School only maintains a $2 Million limit and the likelihood of exceeded this amount is very high. Fortunately the school board approved a $50 Million Umbrella last year that provides a greater level of protection for the school. Example 2: A volunteer driver working for a local Church falls asleep driving congregation members home resulting in 1 death and 3 serious injuries. The $1,000,000 Commercial Auto Insurance limit on their policy would not be sufficient in this example to cover the injuries and provide compensation to the surviving family members. 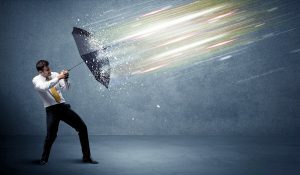 If the Church purchased Umbrella Insurance their Commercial Auto Insurance policy would pay $1,000,000 first and the Umbrella Policy would pay the remaining up to its limit or negotiated settlement. Why Should Your Organization Purchase Umbrella Insurance? You may need the protection it extends. Umbrella Insurance Policies protect you from liability issues that go beyond the liability limits of standard insurance policies.